Business casual is a tricky dress code, because it brings together two very different looks. But it's important to master, because when done well, it's a comfortable mix of clothing that exudes confidence and competence. The most important question to ask is: Where does your office fall on the business-casual spectrum? Maintain the general elements of a suit with a few tweaks here and there. 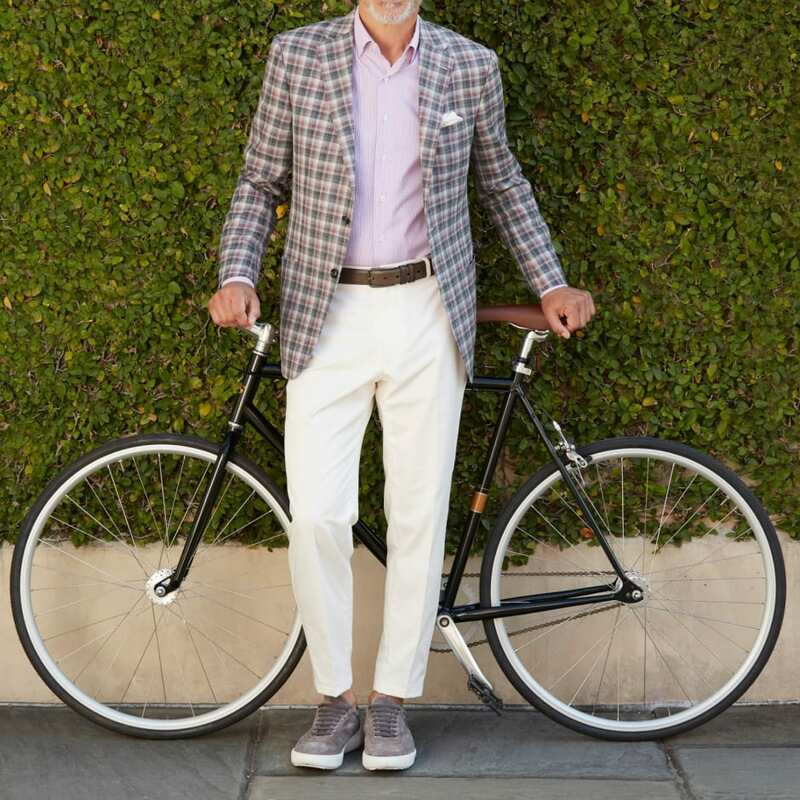 Swap the matching jacket and trousers for a sport coat and chinos to achieve a great warm-weather look. With a look this put-together, you can lose your jacket and still look like a pro. Roll the sleeves for a “hard-at-work” look. 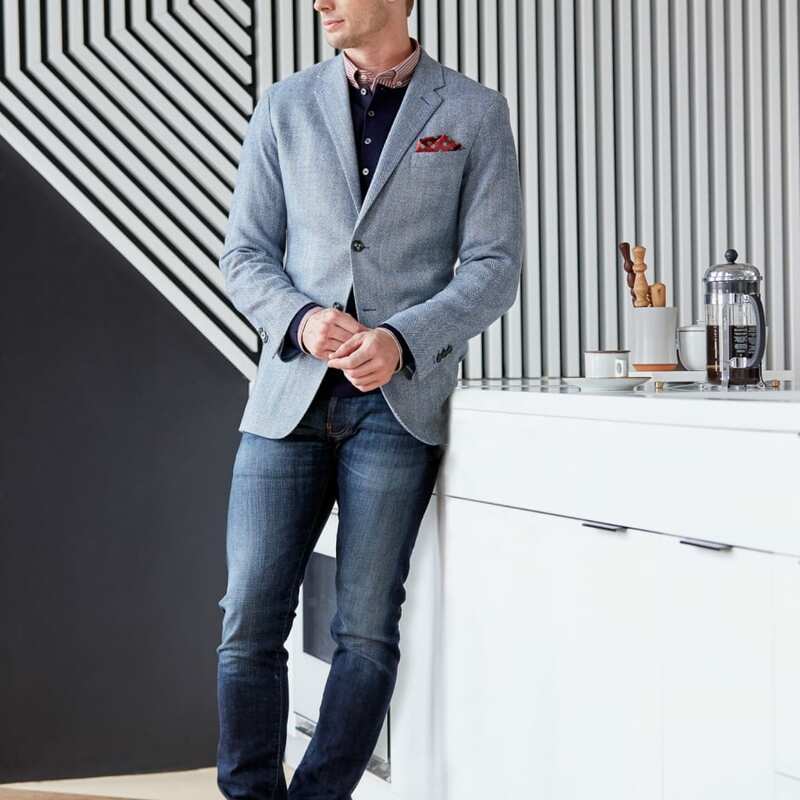 If your office falls somewhere in the middle of the sartorial spectrum, then pair a sport coat with dark denim for the happy-hour transition. This is a great Casual Friday move. You can even lose the jacket as the night progresses.